Preview Mondays from 9am - 3pm BY APPOINTMENT ONLY. 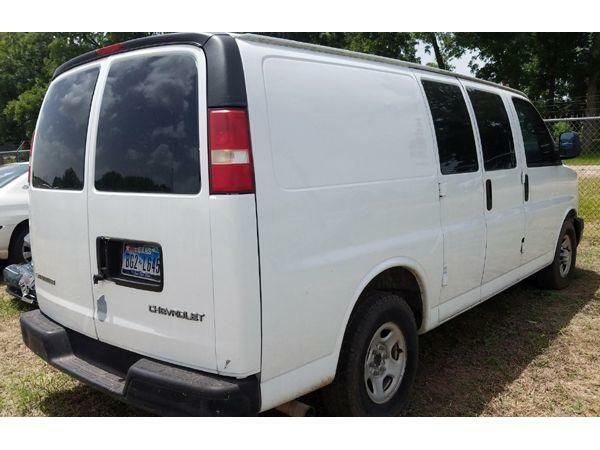 Removal Monday - Friday from 9am - 3pm within 3 business days of auction close. 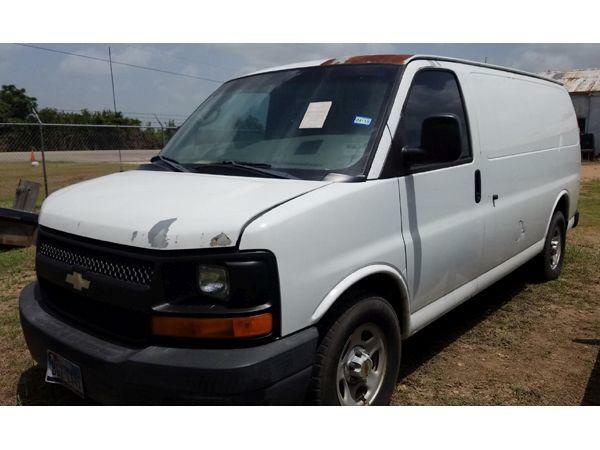 2004 Chevy Express Cargo Van. White. This vehicle was abandoned in a public parking lot. Owner wouldn’t release keys or title. It has a 5.3 liter engine. Because we have no keys we have no knowledge if it runs or mileage. 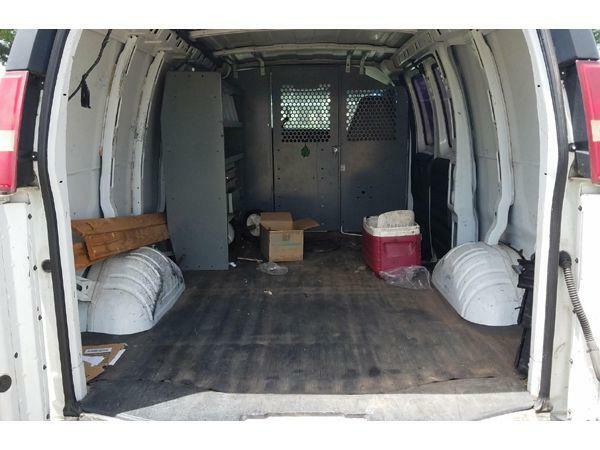 But the van is in good shape. Current mileage unknown. VIN #1GCFG15T641178610. Has storage lien packet to apply for title. No key. Monday - Friday from 9:00am to 3:00pm. Please contact Ann at 979-533-1338 or protow4prohair@live.com with removal questions. All items must be removed within 3 business days of auction close or the winning buyer will be charged a storage fee of $21.65 per day left. If items purchased are not removed within 10 days of auction close, the buyer forfeits all monies paid and the property reverts to the Gene's Wrecker with no recourse. ALL VEHICLES must be towed from Gene's Wrecker premises at the winning bidder’s expense by a TXDOT certified wrecker. No trailer, car dolly or tow bar may be used inside the lot. Please give the attendant your paid receipt and a valid Government issued ID when picking up all items. Individuals without a paid receipt and valid ID will not be able to remove items from lot. No changes to paperwork will be allowed. Gene's Wrecker staff will not be responsible for the loading of auctioned vehicles. Buyers of auctioned vehicles shall make their own arrangements accordingly. 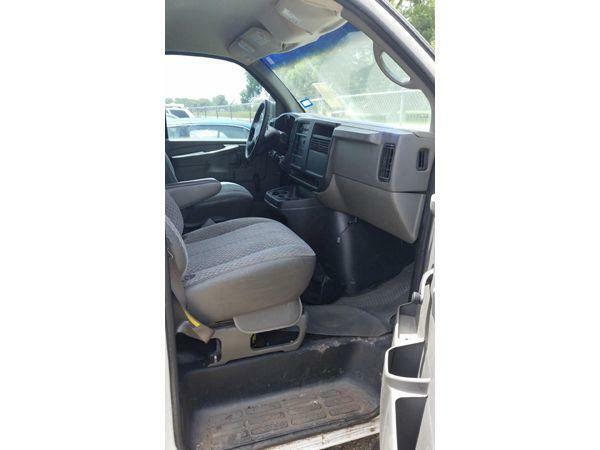 Disposing of unwanted materials off of or from auctioned vehicles will not be tolerated and will result in permanent banning from all Live and Online auction conducted by Lone Star Auctioneers. Written authorization must be provided to the seller allowing a person other than the buyer named on the paid receipt to pick up items.